New Years Eve in Israel has become bigger and bigger in recent years, and whilst not officially celebrated, there are now hundreds of New Years Eve parties across Israel, as well as many other special events, which cater to all musical, cultural, and social tastes. New Years in Israel is known as Sylvester, and parties are known as Sylvester parties. From the bustling Sylvester parties in Tel Aviv’s many nightclubs to special concerts and local events, if you want to see in the New Year in Israel, you will find a celebration for you. ... The spread of Western culture into Israel has brought with it the celebration of New Years so depending on where you are in the country depends on how much is going on. This spread has not been warmly received by everyone, which accounts for why, in Jerusalem, for instance, there is little celebration, but, if you know where to look, there are some great events. ...In recent years, New Years or Sylvester has become incredibly big in Tel Aviv, and is a big night for the city’s restaurants and nightclubs. Many restaurants will become booked up (so make sure to book) and special parties will take place to bring in the next year. As with anything, there is a huge range of parties catering for different groups and musical tastes so check out specific clubs before the evening to see which is your favorite. Why Is It Called "Sylvester"? Israeli New Years, most commonly known as Sylvester, is named after an anti-Semitic pope. Not exactly what you’d expect in a Jewish state. It's origins come from Pope Sylvester, whose saint's day falls on December 31st, what is now known as New Years Eve. He served as pope from 314-335 CE, and while very little is known about his actual life, it is known that he oversaw both the First Council of Nicea as well as Roman Emperor Constantine's conversion to Christianity. Pope Sylvester convinced Constantine to prohibit Jews from living in Jerusalem, the year before the Council of Nicea convened, and during the council, the Pope arranged for the passing of various anti-Semitic legislation. Some say he is one of the most anti-Semitic Popes of all time. Numerous European countries, such as Austria, Bosnia and Herzegovina, Croatia, Czech Republic, France, Germany, Hungary, Italy, Liechtenstein, Luxembourg, Poland, Slovakia, Switzerland, and Slovenia, refer to New Years as Sylvester. But why Israel? The tradition of Sylvester came to Israel along with the mass wave of European immigration around the time that Israel became a state. Of course, the Jewish calendar already had a “New Years,” Rosh Hashanah, so there is not much need for a secular replacement. So the name “Sylvester” stuck. What's wrong with Jewish people celebrating New Year's Eve? Bayit Yehudi - "Jewish Home"
It is supposedly the political party which represents the interests of the Religious Zionist public, but despite it's name, it's not even truly Jewish, much less religious. It keeps knocking more and more holes in the wall to let in more and more outsiders in order to swell its ranks and gain more power. At the end of the day, it's all about making Naftali Bennett Prime Minister. It's no wonder the "Settler" community is so neglected these days. They essentially have no one representing them. Courting the Russian vote on 'Noviy God' - Bayit Yehudi activists break taboo and stage Russian New Year event eyeing new demographic for the religious-Zionist party. A novel and somewhat controversial event took place on Saturday evening when the Bayit Yehudi Youth Wing held a Novi God party in Petah Tikva. Novi God is Russian for “new year,” and has traditionally been celebrated in the states of the former Soviet Union. It is also often celebrated by Israeli citizens who emigrated from that region, but is largely viewed as a non-Jewish celebration and is typically disdained in Orthodox circles, since some symbols of Christmas, such Christmas trees, have also been associated with the celebration. Yonatan Dobov, chairman of the Bayit Yehudi Youth Wing and a fellow organizer, also pointed out that Novi God is not a Christian or religious holiday, but rather a cultural and family festival that has become deeply entrenched within Russian culture, including among Soviet immigrants to Israel. Some people simply refuse to learn anything from Hanukah! If there are any real Jews left in the 'Jewish Home', they should treat it as if it has tzara'at! In honor of this blog's ten-year anniversary, I am re-posting the one that started it all. Shavua tov! The world is poised on the very brink of completing the process of its redemption. What is important for us as individuals to understand is that whatever occurs on the macro-level also occurs on the micro-level. In fact, one might even say that it does not occur on the macro-level until it occurs on the micro-level, in the same way that the body is the sum total of whatever has already occurred in each individual cell. These four "I wills" correspond to the four "Rs": Remembrance, Recognition, Return and Restoration. "I will take you out from under the burdens of the Egyptians,..."
"I will take you to Me as a people, and I will be a God to you,...."
The return brings us naturally to restoration, to the fulfillment of the very purpose of creation itself - relationship with the Creator. Notice that with this step we complete the entire process by returning to the beginning: "...and you will know that I am the Lord your God, Who has brought you out from under the burdens of the Egyptians." It's not a straight line. It's a circle - just like our chagim and just like the life-cycle itself. Is Bitcoin A Sign of Mashiach? If you look for heterim to allow you to eat on a fast day or if you spend the entire day focused on your stomach, looking forward eagerly to the moment you can eat again, then something is very, very wrong. We should welcome the opportunity to set aside physical needs in order to look deeply within. We should be so consumed with our spiritual work that the time passes without any thought to food and drink. We should be so ashamed, anxious and saddened by our current situation that we have no appetite and would be unable to eat if we could. We should come away from our fast - not just with feelings of regret and a desire to do better - but, with an action plan for making concrete corrections that will elevate ourselves and the world around us. If we do it right, we should be different people coming out of the fast than we were when we entered into it. 1 Call with a [full] throat, do not spare, like a shofar raise your voice, and relate to My people their transgression, and to the house of Jacob their sins. 2 Yet they seek Me daily and they wish to know My ways, like a nation that performed righteousness and did not forsake the ordinance of its God: they ask Me ordinances of righteousness; they desire nearness to God. 3 "Why have we fasted, and You did not see; we have afflicted our soul and You do not know?" Behold, on the day of your fast you pursue business, and [from] all your debtors you exact [payment]. 4 Behold, for quarrel and strife you fast, and to strike with a fist of wickedness. Do not fast like this day, to make your voice heard on high. 5 Will such be the fast I will choose, a day of man's afflicting his soul? Is it to bend his head like a fishhook and spread out sackcloth and ashes? Will you call this a fast and an acceptable day to the Lord? 6 Is this not the fast I will choose? To undo the fetters of wickedness, to untie the bands of perverseness, and to let out the oppressed free, and all perverseness you shall eliminate. 7 Is it not to share your bread with the hungry, and moaning poor you shall bring home; when you see a naked one, you shall clothe him, and from your flesh you shall not hide. 8 Then your light shall break forth as the dawn, and your healing shall quickly sprout, and your righteousness shall go before you; the glory of the Lord shall gather you in. 9 Then you shall call and the Lord shall answer, you shall cry and He shall say, "Here I am," if you remove perverseness from your midst, putting forth the finger and speaking wickedness. 10 And you draw out your soul to the hungry, and an afflicted soul you sate, then your light shall shine in the darkness, and your darkness shall be like noon. 11 And the Lord shall always lead you, and He shall satisfy your soul in drought, and strengthen your bones; and you shall be like a well-watered garden and like a spring of water whose water does not fail. 12 And [those coming] from you shall build ancient ruins, foundations of generations you shall erect, and you shall be called the repairer of the breaches, restorer of the paths, to dwell in. 13 If you restrain your foot because of the Sabbath, from performing your affairs on My holy day, and you call the Sabbath a delight, the holy of the Lord honored, and you honor it by not doing your wonted ways, by not pursuing your affairs and speaking words. 14 Then, you shall delight with the Lord, and I will cause you to ride on the high places of the land, and I will give you to eat the heritage of Jacob your father, for the mouth of the Lord has spoken. "The Amazing Connection Between 'G-d Bless Trump,' the Fast of the 10th Day of Tevet and the Mighty IDF"
I want to say to everyone, there is no doubt at all, we have entered into the last days right before the complete redemption. Every person who wants to can easily see that the whole world is upside down, that nothing is like it used to be. Not the weather, not the sea, not the earth, nothing is like it used to be. The oceans are rising because the north and south poles are melting from inside, from within the planet. I won't go over all these things because you've already heard it many times, but the planet, with everything in nature, is working against people now. It doesn't matter what, it's working against people. For so many years we became accustomed to growing food, hunting animals and such for food, and now there are less animals, and the fish are dying by the millions and the situation of the farmers is very difficult because it is impossible to depend on regular weather like it used to be. Everything is changing and we see clearly that we, the residents on this planet, are on the threshold of a huge war, with hydrogen bombs and "normal" nukes, however much it can be normal. And it's possible to launch a missile from North Korea to the United States, to Washington, DC, to Boston or Miami Beach, or to Houston or Dallas, Los Angeles, San Francisco, wherever you like, it's hard to believe this is the world we live in. If someone had told us in 1947, 1948 or 1950 that this would be our world now - no way would we have believed it. But, that's the situation, and what's coming will be so difficult that it will be hard for us to understand how anyone could continue to live! To such an extent. And not just the war, also the effects of the star, or the 'mini-solar-system', Nibiru, the comet, it's not a joke, it exists and is what is now interfering with the planet. It's Hashem's messenger to destroy the yetzer hara, to destroy the world that has been turned into the place of the Sitra-Achra, that has been turned into the place of wickedness, of Sodom and Gomorrah, and to take out from all this the diamonds, the diamonds which are the real-Jews with Jewish souls, Jews who stood at Har Sinai and said na'aseh v'nishma. I just wanted to give you all a general picture, and now we'll talk about Eretz Yisrael. We've spoken many times how Jerusalem is the safest place in the world, and that's true, we know that it will become a refugee city, when and how exactly - I don't know, but thus it is written: Yeshayahu 4.3 - "And it shall come to pass that every survivor shall be in Zion, and everyone who is left, in Jerusalem; ...." I just suppose that whoever will remain to survive in this particular time period will make it to Jerusalem, and it could be that what is written as 'b'Yerushalayim' - the interpretation is all Eretz Yisrael. But what is important is that every Jew who feels in his heart that he is a Jew, and that he is ready to leave the materialism, even though he knows that few people will do it just because some autistic said so, but aside from an autistic like me, there are gedolim speaking like me, that every Jew who wants to survive, advise him to leave all the unnecessary materialism, and to come to Eretz Yisrael, it will be for his good and the good of his family. A Jew who wants with all of his being to greet our righteous Mashiach needs to pack up things now and come to Eretz Yisrael. I know it's not easy to come to Israel now and what I wrote also won't be enough to convince everyone to come, but I have to say it, have to say: whoever wants to be in the safest place, and not just the safest, but also the closest to Hashem, that's the place, this is the place. I don't pressure people who under no circumstances are able to come, but I just say the reality, whoever comes to Eretz Yisrael, and preferably Jerusalem, a Jew like this, if he truly believes in HKB"H and desires closeness to Him and wants to greet Mashiach, he will survive the hard and fearful situations that are coming. Now, that's not all. Just so you know, World War 3 will begin shortly. The games of North Korea and the Iranians together with the Russians, with what Trump said that Jerusalem is the capital of Israel, it's a bit interesting that he's saying it just now, it's very nice, but he knew it would bring great unrest in the world, so it's a bit strange, but it works according to their plan. And not only that, he said now clearly again that it's not possible that the Western Wall won't be in the hands of the Jews and that riled up the Arabs even more. But, there are more interesting things. In Saudi-Arabia there are those who think that it's not so logical that the Arabs are so against Israel, why? Because there is no reason for it, they should instead be against Iran, and not against Israel. Very interesting. So, we really-really have a crazy world. This young man who took power in Saudi-Arabia also made some kind of video that makes fun of the Iranians. Nu, what can I say? There won't be war?! It's clear! They are getting to it, and it will happen - Hashem yishmor. Hashem yishmor! But, it won't destroy the whole world, only Hashem directly can do that - destroy the world, and He will do it by way of the star which will destroy most of mankind. But, we don't want to believe it, don't want to leave the fun, the nonsense, and the internet, youtube, and all the impure things that everyone is busy with. The world has really gone down horribly. It's already not even human, it's something that a few years ago we would not even think could exist. But, in truth, it always did, just the biggest evildoers were in hiding, we did not see them clearly, we did not know that they were ready to do such horrible things. I can't even give over all the things they are doing, how and where they earn the huge amounts of money they have. It's hard even to imagine what they are doing, but they have dragged most of mankind with them, they brought them down, down. There are some good people here and there among the nations, people who are willing to offer themselves on the altar of truth, they're still here, but they are very few. And among the Jews, we need to know tov-tov that every Jewish soul, and I say it all the time, every Jewish soul who stood at Har Sinai - will be saved, that should be clear to you! Will be saved! Even if he made sins - Hashem will return him. So, don't be afraid, I ask the Jews not to be afraid, it won't be easy, but don't be afraid, just hold fast to the truth. And the truth - it's HKB"H, the truth - it's the Torah of HKB"H. Don't look left or right, don't get into all the lies. Like we said several times that there would be great antisemitism in the world, in every country, and indeed now there is no end to it, and in a terrible way, also in Germany, also in England, also in Sweden, as well as all other lands. ...Again, I say: the State has come to the world with the task of: "The final solution of the people of Israel." The Ministry of Education wants to kill our religion and we're finding secular text-books within the schools, etc., etc., etc. like we said "without end" on this. They make like 'religious entertainment', but it's not religious, it's secular, it spoils our children and that's what they want: to spoil our Yiddishkeit, to turn us into goyim, that's what they want. And whoever lends a hand to this - woe to him! Whoever collaborates - woe to him! Whoever lets himself be bought, enabling it in exchange for money - woe to him! Jews! Start building private schools. The 'Beit Ya'aqov' - it's not a place for education. Here and there, there is some school that's called 'Beit Ya'aqov' that maybe-maybe has in it something more Jewish, but also in the chederim as well as the yeshivot and also the schools, the majority - it's a very difficult situation, very very difficult. Whoever takes money from the evildoers - in the end will be his slave. Shemot 23:8 - "You shall not accept a bribe, for a bribe will blind the clear sighted...."
Whoever is a wealthy person - he's an influential person, so they say - and that's the truth. And therefore, it's happening in every area of our lives here in Israel. And abroad it's simply the golden calf that simply rules over the whole people almost. It dictates everything that happens. The Gentiles there hate Jews, they don't love them, and they also are attracted to all the materialism and it destroys, destroys. They already don't know what is true Yiddishkeit, even though there are rabbis and hassidut, and there are yeshivot, but heart, heart, soul - they don't feel it there. And therefore, we will now go through a war. And after the war, we will receive a 'visit' from the star, the 'mini-solar-system', 'Nibiru', and after that we will see who are the real-Jews, we will see who is connected to HKB"H in truth, we will see who really wants the world that is kulo-tov without all the materialism and who not, we will see who is an ish-emet and who is an ish-sheker. And then, with God's help, we will be able to go on and build the Third Beit Hamikdash and return to 'Erev Shabbat', but this time without the sin. The end. In the final sentence of the Question and Answer portion, Binyamin says: "I believe that on the 10th of Tevet it will be much easier to fast and cry." Is The War of Gog uMagog Looming to the North? If you want to thank Trump for recognizing Jerusalem as the capital of Israel, then you have to also thank Obama for the Iran nuclear agreement - both come straight from the hand of HKB"H. And both are bringing us to the ultimate war - the war that will lead to the revelation of Mashiach. The Syrian-Hizballah-Iranian led attackers completed their capture of the Beit Jinn enclave on Tuesday, Dec. 26, forcing the Syrian rebel defenders to capitulate and gaining close access to Israel’s northern border and the Quneitra pocket of the Golan. ...No impediment now remains in the path of the three hostile forces for heading towards Israeli Golan. Furthermore, by allowing its allies to lose control of Beit Jinn, Israel virtually signed away military control of the Quneitra pocket. It may be recalled that in October 1973, the Syrian army launched its Yom Kippur offensive for the conquest of northern Israel from this very location. I fear America is going to take a very hard blow to eliminate its interference in Russia's and Iran's plans. Anybody else thinking North Korea? EMP? I have loved ones there, too! But, it seems to me that the fires in California, the floods in Texas and elsewhere and especially the tragedies of Puerto Rico were all warnings: make a teshuvah cave to hide in. It can't be stopped and it's probably a lot closer than we think. Some might get the wrong idea when I talk about the "middle ground." I'm not at all talking about sitting on a fence. I'm not talking about some place of compromise between truth and falsehood. I'm referring to the balance between two extremes of truth - between pure chesed and pure gevurah. When I talk about this middle ground of truth and how it brings together the best of both the national religious and the chareidi hashkafot - that place occupied by the chardalim - I see the national religious going to the extreme of chesed and the chareidim going to the extreme of gevurah. Some of the national religious have gone so far to the extreme of chesed that they can accept idolaters and sodomites as their "brothers." On the other hand, some chareidim have gone so far to the other extreme that they refuse to accept any non-chareidi as a kosher Jew. Some even take modesty to such an extreme that if it continues on its current path, it will see women locked behind closed doors and shuttered windows. My life-long search for the truth brought me naturally to the chardal position without my even being aware of it - all directed, of course, by HKB"H.
Now, I mentioned that I take the middle ground within the middle ground and I want to explain that as well. Take for an example HaRav Tau's instruction to his students during the Gush Katif expulsion. A surprising development occurred a few months ago behind the scenes in the world of Israel's premilitary religious preparatory centers. Several preparatory center heads met with Rabbi Zvi Tau, head of the Har Hamor yeshiva in Jerusalem, to hear his views on the issue of refusing to obey the order to evacuate a Jewish settlement. The directors of two major centers, Rabbi Eli Sadan of the community of Eli and Rabbi Rafi Peretz of Atzmona, are among Tau's staunchest disciples and operate in accordance with his directives. Their prominence has influenced the heads of other centers and, because of that prominence, Tau's position on the above issue has great bearing on all the centers. Prior to the meeting, all Tau's students believed he firmly backed the concept of the Jewish state's sovereignty in this question: Although firmly opposed to any withdrawal from any part of the Holy Land, he also opposed any undermining of the state's sovereignty, especially any undermining of the Israel Defense Forces' authority. Thus, students at the Eli center could sometimes be heard saying, "If we have to, we will even evacuate our own parents." However, the meeting with Tau turned out to be very surprising. He protested the "misunderstanding" surrounding his position: Explicit refusal to obey the order to evacuate a settlement was unthinkable; however, students at the centers would have to make it clear to their commanding officers that they "were incapable" of obeying such an order. Following the encounter, Sadan held a meeting with his students at Eli. He informed them that his previous directives had been mistaken and then issued new ones. The change in Tau's position on the refusal-to-obey-orders issue has far-reaching implications. Rabbinical authority, which was supposed to counterbalance recent rabbinical rulings favoring refusal, is now encouraging a "gray" form of refusal. So, in this instance, HaRav Tau actually found the middle ground between these two extremes - do not outright refuse orders, but do not under any circumstance carry it out either. Because this is harder to understand and requires some intense thought, there are people who prefer to go to the more clear-cut extreme - either this or that. I think HaRav Tau showed a remarkable vision of the bigger picture and appreciation for the possible consequences down the road. As long as we live in this quasi-democracy - and we pray daily that HKB"H will restore our monarchy as of old - we have to look also at how an outright refusal of orders may be used against us in the future. If you are going to have an army at all, you can't condone any part of it refusing orders. But, for individuals on a case by case basis saying they are incapable of carrying out an order or to refuse to serve in the first place as conscientious objectors, that is a subtle, but important distinction that many people don't want to consider because it seems like a cop-out to them. I think it shows the wisdom of his age. On the other hand, HaRav Tal, who was the rabbi of the synagogue of Neve Dekalim in Gush Katif, was so demoralized by the expulsion that he went from one extreme to the other - from believing the State is holy to believing it is merely a means to an end and its establishment should not be celebrated. Surely the truth is to be found in the middle ground between these two extreme positions. The State, in and of itself, is not holy, but by virtue of its historical support for Torah learning, the building of mikvaot and synagogues and ingathering of the exiles; by virtue of its being home to the majority of Jews in the world, it does have some associated sanctity. On the other hand, the destruction of Jewish homes, synagogues and mikvaot during multiple expulsions, a drive to assimilate Torah students into the army and the shmad of Israeli secular education may very well have already wiped out whatever merits may have accrued to it. Whatever the case, however HKB"H judges its merits or demerits, the fact remains that the State of Israel would not exist had not HKB"H willed it. With holiness, without holiness, it is still the vehicle by which redemption will arrive. Today, we can say that it is the donkey that Mashiach will ride in on. Anyone who denies the right of the donkey to exist, will not merit to greet its rider. HARDAL: Bringing Together The Best From Both Worlds? The term Hardal is part of a broad process of certain groups of Religious Zionist youth becoming more strict in certain religious observances and more ideologically driven by the thought of Rabbi Zvi Yehudah Kook. In the late 1970s, graduates of Yeshivat Merkaz Harav began to reject certain aspects of the Religious Zionist and Bnei Akiva lifestyle. At that time, some of the graduates were already referred to as "plain-clothes Haredim." ...In later years, the term Hardal became a group that actually started separating itself from the broader religious Zionist community in order to dedicate itself to leading a life dedicated to strict Jewish practice, without the influence of outside culture. There was emphasis placed on modesty in dress and early marriage. ...All Hardalim built their thought on the writings of Rabbi Abraham Isaac Kook as interpreted by his son Rabbi Zvi Yehuda Kook. This approach gives a great role for faith and messianism in Judaism. They also stress the study of Yehudah Halevi's Kuzari and the writings of the Maharal of Prague. In recent years, it refers to those under the influence of Rabbi Zvi Yisrael Tau, who left Yeshivat Merkaz Harav to found the more Hardalic Yeshivat Har Hamor. Rabbi Tau rejects secular studies and secular influences. He is also against any academic influence on teachers colleges, rejecting the influence of modern educational psychology and modern approaches to the study of Bible. Those who follow this approach are called followers of Yeshivat HaKav- "Yeshivot that follow the line." ...In terms of their political positions, the Hardalim are considered extremely hawkish and are identified with the right wing of the Israeli political map. They are not, however, identified with the Mafdal [replaced by Bayit Yehudi] or the Yesha Council, as these are claimed to be too moderate. They are firm believers in the concept of Greater Israel and often live in areas beyond the Green Line. The disengagement plan lead to a schism within the movement. Har Hamor Yeshiva (with whom most members of the group are identified) taught that Torah study and prayer were no less important than physically resisting the disengagement, and thus fewer people took part in protests and political lobbying. Others within the movement, however, advocated more direct confrontation. Following these events, much of the Hardal public abandoned the political parties which they had traditionally supported (such as the Mafdal) and began to support newer parties, such as Tkuma and Renewed National Religious Zionism (the two members of the National Union). In earlier years, the Religious Zionist movement downplayed the reports of what some called traitorous actions of the Israeli Government, and the movement continued to stress its unconditional support of the state. However, since the call to implement Ariel Sharon's Israel's unilateral disengagement plan of 2004 to withdraw the IDF from Gaza and Northern Samaria and to expel the Jews living there, the Hardalim have been undergoing an intense ideological crisis. Many, such as Rabbi Shmuel Tal have changed their ideological attitude toward the State of Israel, coming to see it not as an inherently valuable entity, but solely as a means to an end. To the extent that that end is not being realized, the state is not to be supported. Thus, they have come to believe that the State of Israel can no longer be considered "the beginning of the Redemption" as Rabbi Zvi Yehudah Kook taught. Thus, their support for the State is conditional on the State's adherence to Torah law. Some have ceased waving the Israeli flag, saying prayers for the State of Israel and no longer celebrate Independence Day. ...This schism process was accelerated after the Israeli Police, attempted to evict extremist youths who came to protest against the expulsion and demolition of a group of houses in the West Bank Jewish village of Amona, near Jerusalem, after which allegations arose of police and army abuse of the protesters. ...Currently, one of the most important leaders is Rabbi Zvi Yisrael Tau, dean of Yeshivat Har Hamor, who leads the most conservative branch of Hardalim, who are now almost indistinguishable from the mainstream Haredi world. Others strongly reject his loyal attitude towards the State, often termed as "Mamlachti'ut". 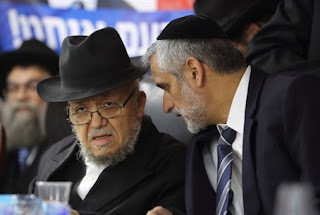 One such Rabbi who opposes Rabbi Tau's approach is Rabbi Tal, who has instructed his students to cease celebrating Israeli Independence Day due to what many see as a betrayal of Zionist ideals by the Israeli government. Most Hardalim fall somewhere in between. ...Leading Religious Zionist journalist Yair Sheleg agrees that the leadership is distinctly Ashkenazi, but points out that some are Mizrahi and that there are also warming ties between them. Tau, who almost never takes part in political events, made an appearance last year at the Yahad Party’s pre-election conference. HaRav Tal also reportedly supported Eli Yishai in the last election. I definitely fall "somewhere in between" and I suspect that Mashiach will arise out of this balanced middle ground - between Hareidim and National Religious, between State-worshipers and State-rejectors, between Ashkenazim and Sephardim. In my considered opinion, these are the people to be watching for a glimpse of Mashiach. Dear friends, find here a classic article written by the late Rabbi Meir Kahane HY”D, that is fitting now more than ever in light of the recent vote at the United Nations against Jewish sovereignty over Jerusalem. Also, find here an article that I wrote several years ago on last week’s parsha Vayigash, and some additions that I have now written to help put the Trump recognition of Jerusalem into the proper perspective of the authentic Jewish Idea, fitting the 17th anniversary of the assassinations of Rav Binyamin and Talya Kahane 5th of Tevet, Shabbat Parshat Vayigash. The murder of Rav Meir Kahane and of Binyamin Kahane and his wife Talya, role of Moshiach Ben Yosef, UN resolutions against Trump - Fitting it all together, in the perspective of the Jewish Idea. In this week’s parsha, VaYigash there is a fascinating dialogue or actually more of a monologue, with Yehuda beseeching Joseph to allow him to leave Binyamin at home with his father Jacob and not to risk bringing him down to Egypt. Yehudah pleads with Joseph, “…his (Binyamin’s) brother (Joseph) died and he was left alone to his father and mother, (only remaining child). It is difficult to understand the choice of words, (“Vayevateer hu Levado“) “left alone to his father and mother”. Why does the Torah not simply say he is like an only child? Moreover, what is the point – so what if he is the only child left to Jacob from Rachel? Furthermore, Benjamin was surrounded by many loving siblings and stepbrothers from his father, and the words - “left alone” hardly reflects, the true picture. Left alone? That sounds so lonely. And judging by the fight his brothers are leading on his behalf, there can be no choice of words that are further from the truth. I think that in order to understand the hidden meaning behind the seemingly strange choice of words: “left alone to his father and mother” we need to review another place in the chumash where a similar phrase and choice of words is used. In parshat VaYishlach, the Torah describes Jacob’s status the moment before his battle with the angel of Esav, “and Jacob was left alone”. There, too, it is difficult to understand the description of Jacob being left alone. Could it be that Jacob, who divided the camps into two huge camps, was walking around alone, with no guards, escorts, disciples or children? A popular song about the Jacob-Esav ultimate-fight episode could shed more light and help understanding the phrase and its hidden meaning. “G-d is lofty alone, on that day, and Jacob was left alone “. The song combines two verses, one - a prophesy from Isaiah that refers to the final Day of Redemption when G-d will judge the nations alone and save the Jewish people, and the other verse: from VaYishlach, referring to Jacob’s fight with Esav’s angel. The song and the identical words connect G-d’s behavior to the behavior of Jacob. Yaakov, the man who symbolizes whole truth, shows that he can stand alone and defeat Esav. Yaakov is referred to as “Tam” complete or whole. This is an attribute that we do not see in reference to Abraham and in Yitzhak. Yaakov enlists in the ultimate and eternal battle against evil. Issac and Abraham, each, in their own way attempted to reconcile with the existence of evil in this world. Yaakov - the ultimate and complete man of truth - could not tolerate any compromise on truth or with evil in this world. Abraham - father’s Yitzhak and Yishmael. Yitzhak - fathers Yaakov and Esav. Yakov represents the whole and unadulterated filtered truth, and from Yaakov is born the children of Israel and the chosen nation of Israel. Thus, when the Torah states that Yaakov was left alone, it means much more than the physical loneliness that may or may not have existed, but rather a state of mind, and a willingness to stand alone, with complete faith in G-d; to represent G-d’s truth and to struggle against the rest of the world, if need be. It is this test of faith that Yaakov passed when he fought the angel of Esav, emerging victorious and graduating him to the new name of Yisrael. It is in the merit of faith and standing alone, without allies, that brings the Jew his salvation and delivery. When we rely on man, super-powers and allies and defy the Torah, then we are left to our own designs and to the mercy of the gentiles. However, when we are prepared to stand alone, with faith in G-d, we are protected by G-d and at His mercy. Standing alone, with your truth, with no others around who share your truth, may sound lonely but in reality, this catapults man to be embraced by G-d. Faith brings redemption, Isolation brings salvation. This was the special gene that Jacob possessed and that he and Rachel passed on to Joseph and Binyamin. The other brothers ostracized and betrayed Joseph, who was a lone-wolf. Now, we can better understand the dialogue/monologue between Yehuda and Joseph in this week’s parsha. Yehuda was not merely stating an irrelevant fact that Binyamin was left alone to his biological mother and father, now that Joseph was perceived to be gone. Yehuda was saying that if something happens to Benjamin, this will cause sure death to Jacob as well, and then who will be left to transfer that genetic spiritual trait of obsession to truth and willingness to stand alone and take on the world? And as Isaiah prophesies, the final day-of-judgment and redemption will come when G-d stands alone without allies. G-d can only stand alone when there are Jews of faith who stand alone, without fear and with no allies to rely on or to be dependent upon. It is only through such a scenario that it can be revealed to all, that G-d is the only one! It is only then when the redemption and miracles will be attributed to G-d alone and not to allies and super-powers. Essentially, Yehuda is explaining that risking Binyamin means risking the final redemption of the Jewish people and risking the day when G-d can be recognized as the lone savior of the Jewish people. This is equivalent to killing Moshiach ben Yosef, the Messiah who is supposed to stand tall and provoke the nations. Some say that Moshiach Ben Yosef is killed and then, Moshiach Ben Dovid from the tribe of Yehuda completes the final stages of redemption. Here, in this fascinating discourse we see Yehuda pleading with Joseph not to kill Moshiach ben Yosef. As Rav Meir Kahane HY”D brings down in Ohr HaRayon, in the name of the Gra and others who explain that someone fulfills the potential role of Moshiach Ben Yosef in every generation, but does not have to die. That is exactly what Yehuda is trying to arrange with Yosef, as he pleads not to risk Binyamin and Yaakov. It is said that every generation has a potential Moshiach Ben Yosef, who is betrayed and not recognized by his brothers, or who is revealed and who hastens the redemption. Moshiach Ben Yosef is said to feel the pain of the desecration to G-d’s name personified through Jewish weakness and suffering of the Jews in Exile. His battle is a “lonely battle” of truth as he stands alone against the detractors of truth who rule in this world until the final day of judgment.Then comes the role of Yehuda and Moshiach Ben Dovid and the spiritual redemption. If enough Jews join the battle having faith in G-d, then the death of Moshiach Ben Yosef can be avoided. Redemption through needless pain and suffering can be averted. It is when Joseph no longer stands alone, in the sense that his brothers join him with a true love of Israel, and with complete faith that Binyamin and Moshiach Ben Yosef can be saved. In the end, it is necessary for the Jewish people to show uncompromising faith in G-d, without fear of the gentiles, for the redemption to be completed. The final show-down can be triggered by a lone Moshiach Ben Yosef who is betrayed by his brothers and killed or by a significant movement of Jews, who embrace the way of Jacob, Joseph and Binyamin with faith and with the courage of their convictions, who defeat the modern-day angels of Esav, and sanctify G-d’s name. The nation of Israel shows it’s faith by acts of faith in defiance of international opinion, dictates and resolutions. It is acts of faith such as expulsion of our enemies, annexing territories and preparing to build the Beit HaMikdash that show our faith in Hashem, and that show that we believe that He is stronger than the nations. Such brazen acts of faith hasten the redemption, as our sages teach us that it is faith that brought about the redemption from Egypt and that will bring the final redemption. This is the message of Moshiach Ben Yosef in every generation. Rejection of this message and this path of action by the brothers of the potential Moshiachs in every generation, results in prolonging the exile with all of its needless suffering. The ultimate question: will Jacob and Binyamin stand alone and will the nation of Israel take the lead and embrace the path of faith to risk standing alone against the entire world or will they continue to cower before the nations with delusions and illusions that they can buy the love of the gentiles through appeasing the nations? Most affiliated Jews and Zionists are still too busy falling over themselves with joy over Trump's recognition concerning Jewish Jerusalem that they lack the ability to assess the situation from a Jewish perspective. We neglect to ask the relevant questions. Does America stepping up its alliance and support for Israel, bring the redemption of Israel closer? When Jews feel that they can rely upon America to save us, does that strengthen our faith and dependency on the G-d of Israel? If in the end, we will need to show that we are prepared to stand alone, how does this impact that? Is Trump still preparing a “peace-deal” that would try and force Israel to surrender the Har HaBayit and to make additional painful land concessions? After his recent recognition of Jerusalem, will it be easier for him to sell his deal to the Israeli public? 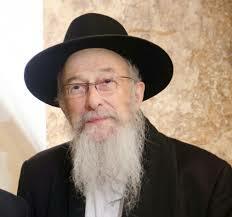 Rabbi Charlap held that Moshiach will come after Israel sends away its allies such as America. This was similar to the opinion of Rabbi Kahane who quoted the Gaon of Vilna on this. Thus, it is important to remember that despite the recent euphoria, Israel will be saved with or without Trump and the nine states that supported America’s recognition of Jerusalem in the United Nations. In fact, Moshiach will come specifically when Israel will not be able to attribute victory to anyone other than G-d. G-d will determine how this plays itself out and whether this leads to more or less isolation of Israel. Israel’s fate and the pace of the unveiling of that fate will be determined by its own actions or lack of actions to the extent that those actions betray its faith or lack of faith in G-d. Trump can make America great again indeed if he truly stands behind Israel. Israel will become great again when it is prepared to stand alone! From Trump's statements on Jerusalem on the eve of Hanukah to Sholom Rubashkin's release from prison on Zot Hanukah, during a week that is set aside to thank and praise HKB"H, the Jews who should know better were thanking and praising US President Donald J. Trump! Some have gone so far as to question the Jewishness of anyone who refuses to give thanks to Trump. Do we read anywhere in Parashat Mikeitz, the parashah of Hanukah week, that Yosef HaTzadik (lehavdil) thanked Paro for his own release from prison and for being elevated to second-in-command of all Egypt? My goodness! Where was his hakarat hatov? Did we stop to give thanks to Paro when he finally set us free to leave Egypt and follow Moshe Rabeinu into the wilderness? Well, where was our famous hakarat hatov? In both instances, the Paro of the time was correcting an injustice perpetrated within their own nation and acting out of self-interest. They didn't do us any favors. All this noise and public adoration is not only a chillul Hashem, it is engendering even more antisemitism at a time when it is already sky-rocketing. Stop asking where is the hakarat hatov and ask instead where is the sechel! What is Trump expecting from Israelis in return for his political largesse? Just because Hanukah is over doesn't mean we stop thanking and praising HKB"H for His continuing beneficience. Today, we have another special cause for thanking and praising the Creator of the World. We have witnessed a great act of justice with the release of Sholom Rubashkin from prison. And for this we thank and praise HKB"H.
Do not make the mistake of thinking anyone has done the Jews any favors. This was an injustice which has now been corrected. However, there is yet another injustice that weighs on America and it has been waiting much longer to be corrected. That, of course, is the unjust sentence and treatment of Jonathan Pollard. May we soon see our brother Yehonatan freed from his house arrest and the shackle of his GPS monitor, freed to come home to Eretz Yisrael. May the Almighty heed our prayers and accept our request with favor. The "simple" explanation for this special name for the last day of Chanuka is the Torah reading from the end of Parshat Naso that emphatically announces ZOT CHANUKAT HA-MIZBEI'ACH (when the Torah is summing up the gifts of all the Tribal Leaders. There is another, deeper meaning to the name. If you want to really know what Chanuka is all about, the answer is THIS, THE EIGHTH DAY OF CHANUKA - the fact that there are 8 days of Chanuka - ZOT CHANUKA, this is what Chanuka means. It means EIGHT. EIGHT is our answer to the Greek challenge. They said nature is perfect. They said it is a mutilation of the body to be circumcised. And they forbid us to fulfill that great mitzva of ours, under pain of death. EIGHT represents the step beyond TEVA, beyond nature. MILA on the 8th day represents our challenge to go beyond how we were created and take charge of the completion of our physical and spiritual form. The Mikdash began to function on its higher spiritual level on the EIGHTH day. The Greeks tried to take that away from us too. Torah was given to us on the day following seven sevens. It is an EIGHTH too. And the Greeks tried to take that from us also. With G-d's help, we prevailed over the Greeks and the triumph is celebrated with an 8 day holiday. This is Chanuka. ZOT CHANUKA. "The Root of the Chanuka Tree"
Hanukah: The Holiday That Celebrates "Extremism"
Who Was Donald J. Trump? Get Rid of the Maccabees! Jerusalem - The "Cup of Poison"